Forty passengers of a Jaipur-Delhi flight of Alliance Air, a wholly-owned subsidiary of Air India, had a harrowing time after the pilot refused to fly, saying his duty hours were over. JAIPUR: Forty passengers of a Jaipur-Delhi flight of Alliance Air, a wholly-owned subsidiary of Air India, had a harrowing time after the pilot refused to fly, saying his duty hours were over. Officials said some of the passengers were taken to Delhi by road while others were provided hotel accommodation and the rest were sent in another flight this morning. "The pilot and crew of a flight coming from Delhi was scheduled to take the flight (9I-644) from Jaipur to Delhi last night. 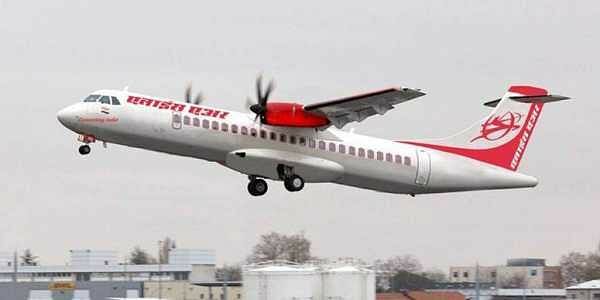 But, the flight from Delhi was delayed and landed at Jaipur at 1.30 am," a staff at the Air India station office said. Some of the passengers were accommodated in hotels, some were taken to Delhi by road and others were sent in another flight this morning, he added.